I am looking into using the BGE for design of a card game but I had some questions before I dive in. What programs do people use to create card files? Is it possible to have more than one deck loaded at the same time? If I have the client, and someone else has the demo, am I the only one who can manipulate the cards? Thank to anyone and everyone who can help me with my questions. Anonymous wrote: What programs do people use to create card files? I personally use Photoshop, but you can use any graphic editing app you want (e.g., Gimp, or Paint.NET, both of which are free). Ideally, you want something that can save graphics in PNG format (at least if you want rounded corners on your cards). You can also use a dedicated card design program, such as "Magic Set Editor", to create your card images. Anonymous wrote: Is it possible to have more than one deck loaded at the same time? 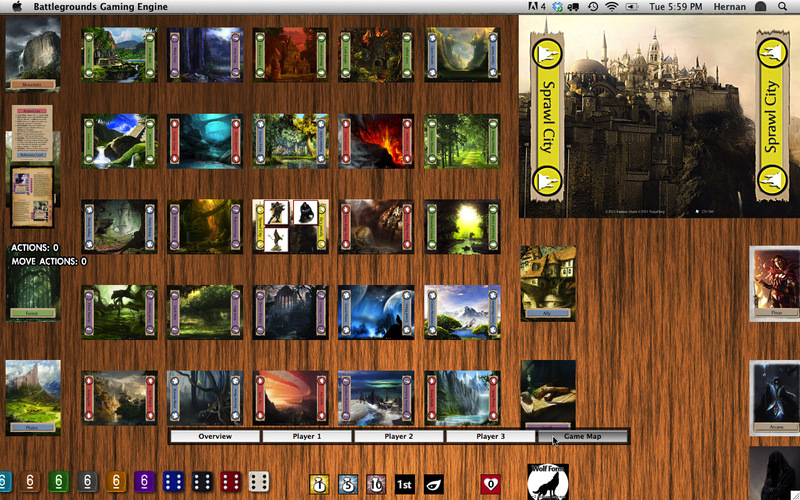 In the dedicated Card Table window, no, it's just one deck at a time (example screenshot). 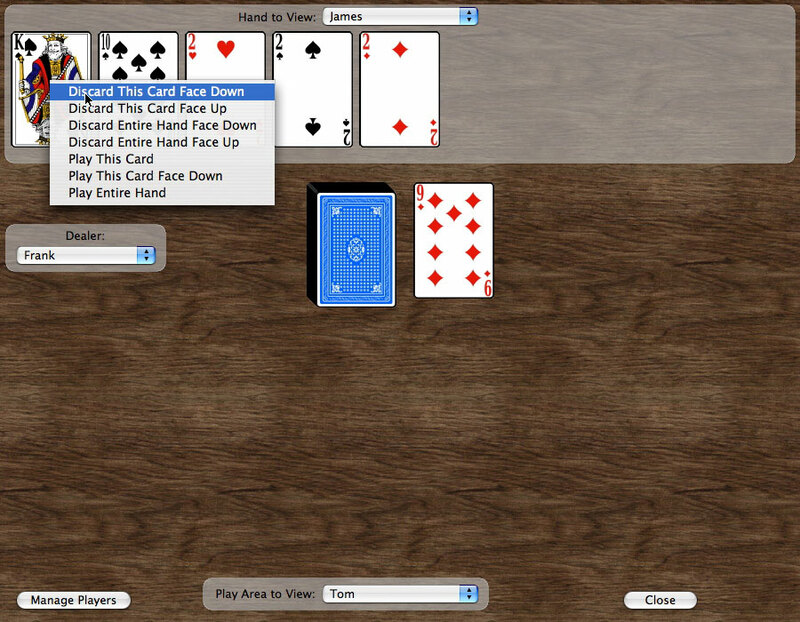 In the Game Table window, yes (example screenshot). Anonymous wrote: If I have the client, and someone else has the demo, am I the only one who can manipulate the cards? The other player can manipulate any unit that they have been assigned ownership of by the game's host, or any unit assigned to "Everyone". It doesn't matter if the other player is using the free Demo or if they have a paid license. Thanks a lot guys. Thanks to your answers I am hoping to soon be posting as an active member of this programs community.